Designed to perfection by award-winning architect Tom Kaiser, this lush Zen like compound is Santa Monica's best kept secret. 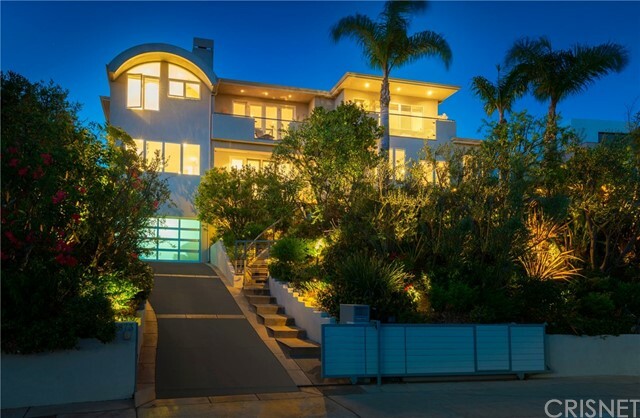 Restored from top to bottom, this four-bedroom, four-bathroom updated contemporary hideaway is an entertainer's dream. Between its open layout, sun-drenched spaces, and sumptuous chef's kitchen with state-of-the-art appliances, and indoor pizza oven, makes this home a mecca for entertaining. Step through the French doors and be whisked way to an outdoor oasis onto the impeccably manicured grounds where you are instantly transported outside of the hustle and bustle of the city. Beautifully landscaped for privacy and meditation, residents can enjoy several private courtyards, gardens, fountains, Sycamore and Citrus trees while listening to the mellow babbling of Wellesley Creek. The perfect balance for anyone looking for location, layout, and a true Santa Monica life style.